I haven't used this yet bec. I have yet to get a battery to connect it to (so my star rating is for tayna.co.uk) Delivery was very fast and I liked that. Would definitely buy from here again. I’ve not installed it yet but with all the positive reviews, I’m sure it will be good. Great service and communications with these guys would very much recommend them. The CTEK D250SA is designed to take power from smart alternators and other DC sources. The dual input allows it draw power from solar and wind sources as well. 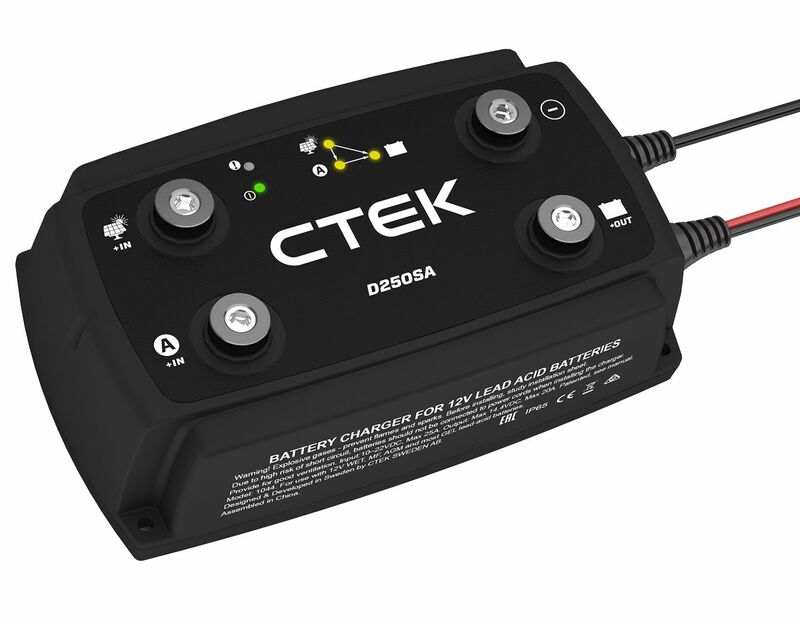 The D250SA can charge lead acid batteries up to 300Ah as well as AGM, EFB, Gel, Ca/Ca and more. It can supply these batteries with up to 20A of power to charge and maintain them. 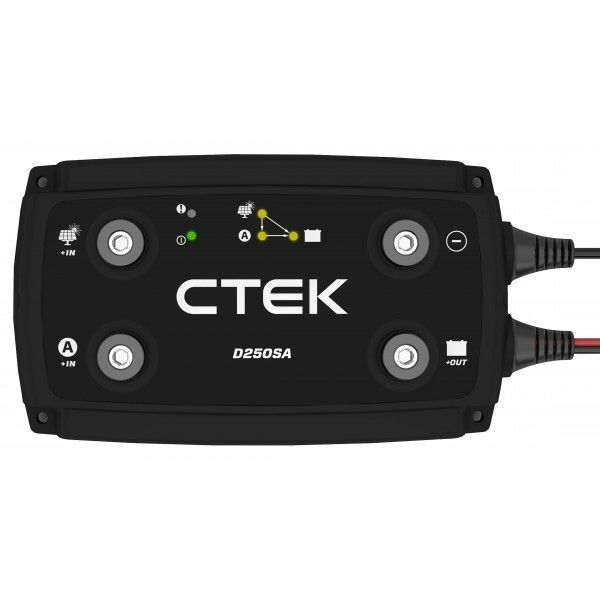 CTEK are a high quality manufacturer with a reputation for making reliable, robust and high performance products.